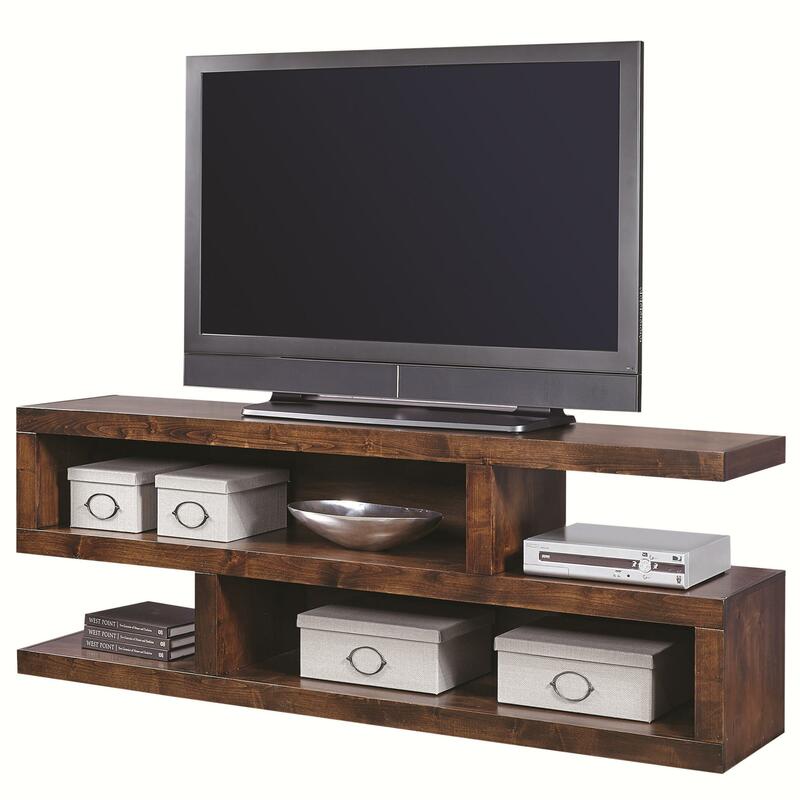 Bring a warm, contemporary look to your entertainment space with this 74 inch console. The piece features a geometric shape with both open and closed backs for a stylish play on dimension and shape. 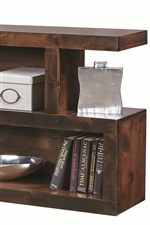 Vertical dividers create four compartments, allowing you to organize and store anything from media consoles to decorative items. A rustic finish over wood solids completes the look, creating a warm and welcoming tone to complement the straight lines and contemporary design. 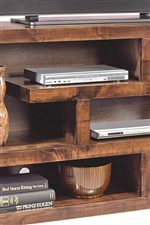 The Contemporary Alder 74 Inch Open Console by Aspenhome at HomeWorld Furniture in the Hawaii, Oahu, Hilo, Kona, Maui area. Product availability may vary. Contact us for the most current availability on this product.